Princess Juliet is in trouble again. An evil wizard came to her castle and stole her book Koobs. In addition, he has frozen castle and everything around it. Now the castle is cold, and the Cubs don't know where he was. Probably he is in the castle, but it is necessary to find out! Help a little Princess find the book and banish the wizard from the castle. 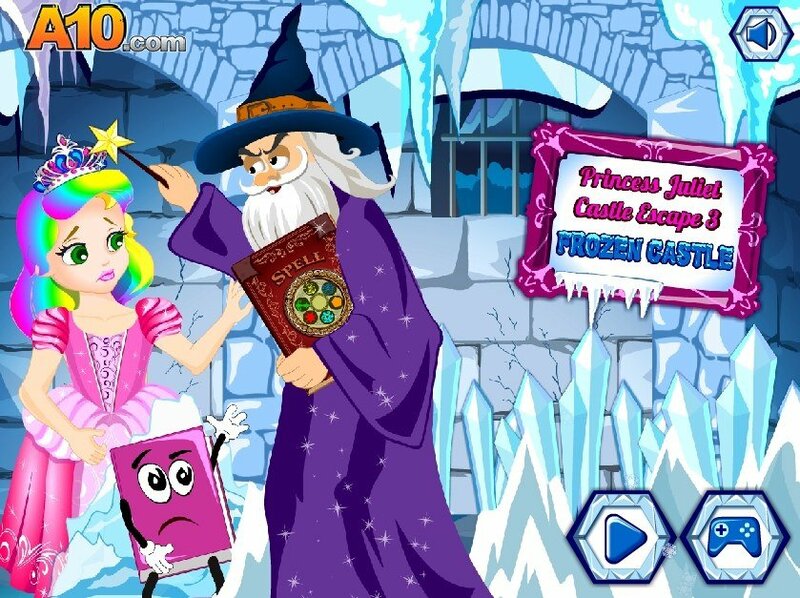 How to play: in this game you have to find the book to unfreeze it, get rid of the wizard and escape from the castle. Use the clues and your intuition to help the Princess. Played: 29916. Added: 17-11-2015, 22:05.